Cognitive biases affect various areas of our life, from the way we interact with people to the way that we form our political opinions. Since these biases cause us to think and act in an irrational manner, their influence can be detrimental, so it’s important to learn how to mitigate them. In the following article, you will start by briefly learning what cognitive biases are and how they affect you. Then, you will read about the underlying concepts behind cognitive debiasing, and learn about various techniques that you can use in order to debias yourself, and in order to reduce the influence that cognitive biases have on others. Before we start learning how to debias, it’s important to understand what cognitive biases are in the first place. Simply put, a cognitive bias is a systematic pattern of deviation from rationality, which occurs due to the way our cognitive system works. How we form impressions of other people. 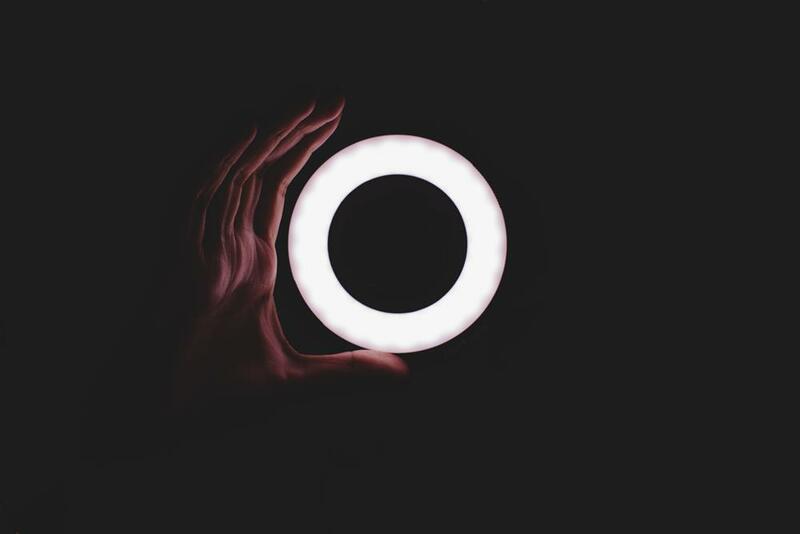 For example, the halo effect is a cognitive bias that causes our impression of someone in one area to influence our opinion of that person in other areas. This bias can cause us to assume that a person is highly knowledgeable and has an interesting personality, simply because they are physically attractive. How we acquire information. For example, the ostrich effect is a cognitive bias that causes us to avoid situations where we might encounter information that we perceive as negative. This bias can cause us to avoid going to the doctor, if we believe that the doctor will have bad news for us, that we don’t want to deal with. How we prepare for the future. For example, the pessimism bias is a cognitive bias that causes us to overestimate the likelihood that bad things will happen. This bias can cause us to assume that we are going to do badly on an exam, even if we are prepared for it and it’s likely that we will do well. This article focuses on the topic of debiasing. If you want to learn more about cognitive biases in general, you can read the Guide to Cognitive Biases, or you can read some of the notable books on the topic, such as Thinking, Fast and Slow, Predictably Irrational, and The Art of Thinking Clearly. 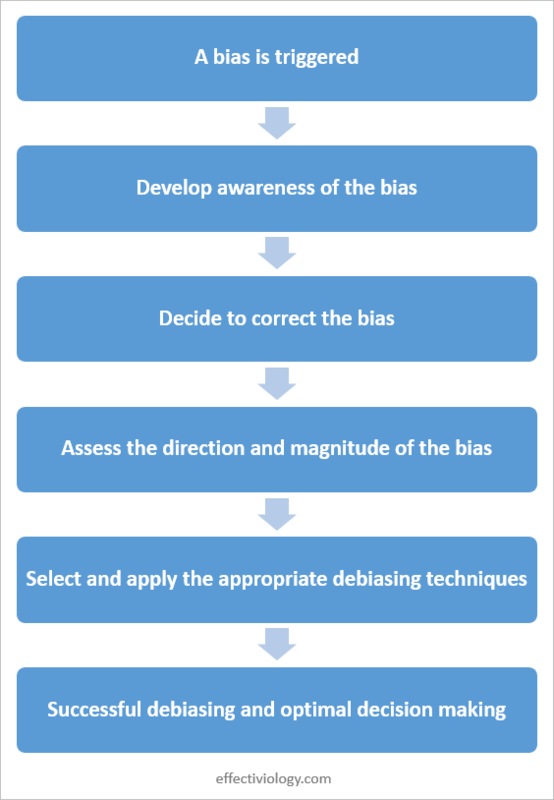 Debiasing (which is also referred to as cognitive bias mitigation), is the attempt to reduce the influence that cognitive biases have on people, in order to enable them to think in a more rational and optimal manner. Effectiveness- different debiasing techniques have varying levels of efficacy when it comes to mitigating different cognitive biases. Specificity- some debiasing techniques are useful for reducing a wide range of cognitive biases, while other techniques are only useful for dealing with a specific group of biases, or even with just a single bias. Implementation- different debiasing techniques are implemented in different ways; some, for example, rely on altering people’s thought process directly, while others rely on altering the environment in which the person makes the decision. Cost- different debiasing techniques have different costs in terms of the time and effort that are needed in order to implement them. Skill- different debiasing techniques require different amounts of skill and training to implement. Research on the topic of cognitive debiasing shows that cognitive debiasing does work on some cases, and that proper training and interventions can help reduce certain biases. For example, one study on the topic found that even a single training session, which took the form of playing an instructional computer game or watching an educational video, improved people’s ability to reduce various cognitive biases in the long term (i.e. 8-12 weeks after the original session). However, while debiasing can often be effective, there are situations where it doesn’t entirely work. For example, one study examined people’s optimism bias, when it comes to believing that one’s own risk of suffering from health issues is lower than that of others. Despite attempts to correct this bias, the researchers found that people’s optimism bias persisted in the face of various debiasing interventions. This doesn’t necessarily mean that this bias can’t be mitigated at all, and it’s possible that different debiasing techniques than those which were examined in the study could have worked. However, the failure of these interventions to debias the participants in the study does demonstrate the fact that debiasing isn’t always a straightforward process, and shows that finding the appropriate debiasing techniques to use in a certain situation can sometimes be a difficult process. Nevertheless, since it can be difficult to predict whether cognitive debiasing will be successful or not, you should usually operate under the assumption that debiasing might be effective in your case. This means that you should try and reduce cognitive biases where possible, as long as doing so isn’t associated with an excessive cost. Overall, research on the topic shows that debiasing can certainly be effective in many scenarios, but that there are also situations where conventional debiasing techniques fail to work. Accordingly, it’s important to be realistic when you’re deciding on your debiasing goals, and when you’re assessing whether or not your debiasing attempts were successful. So far, we saw what cognitive biases are, and learned that cognitive debiasing can help us deal with them in some cases. Next, we will see how debiasing works, and how you can successfully debias yourself and others. First, a cognitive bias is triggered. Then, you must become aware of this bias, and realize that it has been triggered. Once you realize that the bias has been triggered, you must choose to debias. If you do choose to debias, you need to start by assessing the bias, which involves determining in what way the bias affects you. Once you understand what you’re dealing with, you need to select the appropriate debiasing technique and apply it. Once you have successfully debiased, you can now move on to make an optimal decision. Note that you can add an additional step, by reassessing the situation after you apply your debiasing strategy, in order to determine whether or not your debiasing attempt worked. Then, if your debiasing has been successful, you can move on to make an optimal decision. Otherwise, you can repeat the previous step, and either implement a different debiasing strategy or attempt to implement the previous one again, until you are successful at debiasing. However, there are some issues with this additional step, since it’s often difficult to accurately assess whether or not you have debiased successfully. Furthermore, repeated debiasing attempts can often be difficult to implement in practice, especially if you’re trying to debias someone else. As such, it’s up to you to decide whether to include this additional reassessment stage or not. Nevertheless, keep in mind that you can sometimes benefit from reassessing the situation even if you choose to move forward regardless the outcome of the debiasing process, since doing so allows you to reach a decision which takes into account your understanding of whether the debiasing process was successful or not. Metacognition, which refers to the ability to be consciously aware of your thought process, stands at the core of cognitive-bias inoculation and mitigation. First, you need your metacognitive knowledge in order to ensure that you are aware of the various cognitive pitfalls and errors that you might encounter when processing information and making decisions, and in order to ensure that you know which debiasing technique you need to use. Beyond metacognitive knowledge, you also need your metacognitive awareness in order to ensure that you can successfully identify cases where cognitive biases affect people, and to ensure that you can accurately assess how successful your debiasing attempts are. Finally, you need your metacognitive abilities in order to ensure that you can successfully apply the relevant debiasing strategies, once you’ve identified which ones you need to use. Universal- this involves understanding the basic cognitive mechanisms that cause cognitive biases and the basic principles behind cognitive debiasing, as well as knowing some general debiasing techniques that can be applied in the majority of cases. Generic- this involves becoming familiar with the general types of cognitive biases that exist, understanding where you might encounter them, and knowing which cognitive debiasing strategies can be effective for dealing with them. Specific- this involves becoming familiar with specific cognitive biases, predicting where you are going to experience them, and knowing how to apply the relevant debiasing strategies in each case. There are a few general debiasing strategies (sometimes referred to as cognitive-forcing strategies), which can help you deal with the majority of cognitive biases. Below, you will see a selection of these strategies, and learn how you can apply them in the debiasing process. Note that many of these strategies are interrelated, since the underlying principles behind of them are similar, and since some of these strategies have important implications that should be taken into account during the implementation of other strategies. In some cases, simply being aware of a certain bias can help you reduce its impact. For example, consider the illusion of transparency, which is a cognitive bias that causes people to overestimate how well others can discern their emotional state, so that they tend to think that other people can tell if they’re feeling nervous or anxious even in situations where that’s not the case. “It might help you to know that research has found that audiences can’t pick up on your anxiety as well as you might expect. Psychologists have documented what is called an ‘illusion of transparency.’ Those speaking feel that their nervousness is transparent, but in reality their feelings are not so apparent to observers. This happens because our own emotional experience can be so strong, we are sure our emotions ‘leak out.’ In fact, observers aren’t as good at picking up on a speaker’s emotional state as we tend to expect. So, while you might be so nervous you’re convinced that everyone can tell how nervous you are, in reality that’s very rarely the case. What’s inside of you typically manifests itself too subtly to be detected by others. This demonstrates how in some cases, simply making someone aware of a certain cognitive bias can help them reduce this bias successfully. The way in which you present information can affect the way people process it, and the same information, presented in two different ways to the same person, can lead to two very different outcomes. Accordingly, by modifying the way you present information to people, you can reduce the influence of certain cognitive biases. For example, one study examined people’s tendency to rely on anecdotal information over statistical data when it comes to deciding which medical procedure they should undergo. Modifying the way in which the statistical information was presented, and providing it to patients using an easy-to-understand graph instead of a numerical description, reduced the patients’ reliance on inaccurate anecdotal information, and encouraged them to make a more rational decision. The exact way in which this strategy can be implemented depends on the circumstances, and on the cognitive biases that you are trying to avoid. However, the overall conclusion is the same: the way you present information has a crucial impact on the way people process it, and presenting information in an optimal way, that encourages people to think through it rather than react intuitively, can go a long way towards mitigating various cognitive biases. When it comes to debiasing, using simple explanations is generally preferable to using complex ones. This preference is rooted in the overkill effect, which is a cognitive bias that causes people to reject arguments that they think are complex, in favor of arguments that are easy for them to process. For example, consider the hindsight bias, which is a cognitive bias that causes people to overestimate their ability to predict a certain event, after this event has already occurred. In one study on the topic, people were told to think of ways in which a past event might have turned out differently, in an effort to reduce their hindsight bias. People who were told to list only 2 ways in which the event might have turned out differently felt that the task was easy, and ended up not suffering from a hindsight bias. Conversely, those who were told to list 10 ways in which the event might have turned out felt that the task was difficult, and experienced a significant hindsight bias. Overall, when it comes to debiasing, simple explanations are often preferable to complex ones. This concept can be applied in many areas of the debiasing process, from how you think through past events to how you present information. Many cognitive biases can be mitigated by forcing yourself to slow down and think through the information that you are trying to process. The benefit of doing this is that it allows you to reflect on your reasoning process, and to think through alternative viewpoints, while also encouraging you to avoid relying on biased intuitions. One way of encouraging this is to establish specific routines and protocols, which ensure that you slow down when necessary. For example, consider a situation where you encounter a news article whose headline upsets you because it contradicts your beliefs. If you immediately start reading the article, you will likely suffer from the confirmation bias, which is a cognitive bias that affects the way in which you search for and interpret information, and which, in this case, could cause you to dismiss the evidence in the article without really thinking about it. To avoid this bias, you can decide that when you encounter a news article that you disagree with, then instead of reading it immediately you will wait a minute, until your initial emotional tendency to reject the article has subsided, and then read it when you can do so in a more unbiased manner. Overall, slowing down can help us reduce various cognitive biases, by enabling us to run an unrushed reasoning process, which is less influenced by our biased intuitions and emotional considerations. Nudges are simple modifications that are made to an environment in order to alter people’s behavior in a predictable way, without forbidding any options or changing their incentives on a significant scale. This means that in order to count as a nudge, an intervention must be easy to avoid. For example, placing water bottles instead of soda cans near the register of a cafeteria counts as a nudge, while banning soda outright does not. Nudges can be useful when it comes to mitigating certain cognitive biases. In this context, using nudges usually entails making changes to the people’s decision-making process, in a way that involves the implementation of other debiasing strategies. One instance where nudges can be helpful is in the mitigation of the backfire effect, which is a cognitive bias that causes people to strengthen their support of their preexisting beliefs when they encounter evidence which shows that those beliefs are wrong. This bias evident, for example, in the fact that when people are introduced to negative information about a political candidate that they favor, they often end up increasing their support for that candidate. One of the main ways to mitigate the backfire effect is to preface information that people might feel defensive about with questions that encourage them to process it. One study which demonstrates this examined people’s opinions about federal welfare programs. In the study, the researchers discovered that when people opposed these programs due to preexisting misconceptions, presenting them with concrete facts that challenged these misconceptions did little to change their opinion. This means that, for example, telling these people what portion of the federal budget is allocated towards welfare did not significantly affect their opinion on the topic, even if doing so meant showing people that this portion is much lower than what they assumed. However, in a follow-up study, the researchers tried asking people to estimate the portion of the national budget that is allocated towards welfare, and to state what portion of the budget they believed should be spent on welfare, before telling them what portion was spent on welfare in reality. For a lot of people, this meant that they had to process the fact that not only is the federal-spending level lower than what they thought, but it is also lower than what they thought it should be. In this case, asking people to explicitly state how much they believe is spent on welfare and how much they believed should be spent on it reduced the backfire effect that those people experienced when they encountered information that contradicted their preexisting beliefs. This is an example of how using a nudge, in the form of asking people to verbalize their thoughts before dealing with information that contradicts their beliefs, prompted people to process that information instead of rejecting it outright. Similar nudges, which you can implement in various ways, can help you reduce the occurrence of a wide range of cognitive biases. Note: nudges are helpful in a variety of contexts besides debiasing. To learn more about them, you can read the highly acclaimed book “Nudge: Improving Decisions About Health, Wealth, and Happiness“. In some cases, changing people’s incentives can help mitigate the cognitive biases that they experience. You can increase the benefits of making a non-biased decision. That is, by rewarding non-biased thinking in some way, such as by providing positive social feedback, you can increase the likelihood that people will strive to make non-biased decisions. You can increase the penalties for making a biased decision. That is, by penalizing biased thinking in some way, such as by providing negative social feedback, you can increase the likelihood that people will strive to avoid making biased decisions. However, in practice, changing people’s incentives doesn’t always work, and might even backfire in some cases, such as when people feel actively antagonized by the changed incentive structure. This is because even though this simple economic model makes sense in theory, it fails to account for the complexity of human cognition. This doesn’t mean that changing incentives is never an effective strategy. Rather, it means that since the effects of changing incentives are difficult to predict, it’s important to be wary if you’re thinking about changing them as part of your debiasing process. Increasing how involved people feel about a certain decision and how much they care about it can reduce certain cognitive biases. Essentially, by ensuring that people care more about making an unbiased decision, you can make them more open to using various metacognitive strategies, which can help them debias successfully. There are many ways in which you can increase people’s involvement in the decision-making process. One of the main ones is to emphasize their role as active participants in their own reasoning process, and to encourage them to rely on conscious reasoning, as opposed to subconscious intuitions. In doing this, you can ask people to clearly outline and verbalize their reasoning process, which can help them identify gaps in their logic, and think in a more rational way. When people know that they will be held accountable for their decisions and that their decisions will be scrutinized by others, they tend to put more effort into the decision-making process, which can sometimes help people mitigate certain cognitive biases. Receiving feedback from other people can help reduce certain cognitive biases. This is especially noticeable in the case of biases which influence people’s perception of themselves, such as the worse-than-average effect, which causes people to incorrectly believe that they are worse than other people at performing certain difficult tasks. In this context, eliciting feedback can involve anything from asking people specific questions about their opinion on the situation, to asking them to look for flaws in your reasoning process. However, when considering other people’s feedback, it’s important to remember that they are also prone to various cognitive biases. Therefore, while asking for feedback from others can sometimes help you debias, it’s important to always be wary when deciding who to ask for feedback, and when deciding how to implement that feedback once you receive it. Deciding to make your decisions in a standardized way can help you ensure that you use all the necessary debiasing techniques that you need in order to go through an optimal decision-making process. For example, the use of a simple mnemonic checklist was shown to help doctors apply important metacognitive strategies and make better decisions in a clinical context. To improve your ability to make unbiased decisions, you should improve the conditions under which you make those decisions. Improve your internal conditions. There are many internal factors that can increase the likelihood that you will make a biased decision. Among these are factors that reduce your cognitive capacity, such as sleep deprivation, as well as factors that increase your cognitive demands, such as multitasking. Improve your external conditions. There are many external factors that increase the likelihood that you will make a biased decision. Among these are factors that reduce your cognitive capacity, such as high noise levels, as well as factors that increase your cognitive demands, such as social pressure. Overall, you can facilitate the debiasing process by improving the conditions in which you make decisions. While it is often difficult to make those conditions absolutely perfect, even minor changes can be monumental in helping you improve your ability to make rational decisions. So far we saw some general debiasing strategies, that can help you deal with the majority of cognitive biases. However, there are also some debiasing techniques that are applicable in more specific cases, meaning that they can only help you deal with a certain type of bias. The advantage of such techniques is that even though they are applicable in fewer cases, they can often be more effective than generalized debiasing strategies. Below, you will see a few of these techniques, in order to see examples of how such techniques work, and in order to learn how to deal with some of the most common cognitive biases that you are likely to experience. Research shows that our memory of past events is subjective, malleable, and prone to various distortions. For example, there is the rosy retrospection bias, which is a cognitive bias that causes people to recall past events in a way that is more positive than how they experienced those events in reality. This bias can, for example, cause you to remember a past vacation as having been more enjoyable than it really was. One way to mitigate issues which are caused by your subjective memory is to reduce your reliance on such memory, by using objective records in order to examine past events. Essentially, this means that when you need to make a decision based on your past experiences, instead of trying to recall those experiences yourself, you can analyze records of those events in order to get a clear and unbiased picture of the past. This can work especially well if you prepare in advance, by maintaining records of things that you know you will struggle to remember later. While this isn’t something that you will likely do for every event that you experience, it is certainly possible to implement this in some specific cases. For example, if you end a relationship with someone because it’s highly negative, and if you know that you might be tempted to return to this relationship in the future, then you could benefit from writing a reminder for yourself, where you outline all the reasons which caused you to end the relationship in the first place. The main advantage of this technique is that we are generally better at remembering where information is stored and how to retrieve it, than we are at remembering the information itself. This could help you rely on objective records when necessary, and thus avoid the cognitive biases which occur due to our imperfect memory systems. Thinking about plausible alternative outcomes to past events can also help you deal with some of the biases that distort your view of these events. For example, the choice-supportive bias is a cognitive bias that causes people to retroactively ascribe more positive features and fewer negative features to an option that they chose. This bias can, for example, cause you to justify a purchase that you made by overemphasizing the positive aspects of the item that you decided to buy. In this case, by considering alternative items that you could have purchased, you could potentially mitigate the choice-supportive bias, which could help you view your purchase in a clearer, more unbiased way. Remember that when doing this, your focus should be on trying to find a small number of highly-plausible alternative outcomes. This is because, as we saw earlier, struggling to find a large number of alternative outcomes to an event can be counterproductive, and could actually hinder your ability to debias. In some cases, creating psychological distance can help you reduce certain cognitive biases. For example, consider the spotlight effect, which is a cognitive bias that causes people to overestimate the degree to which others are likely to notice their actions or appearance, meaning that it causes people to assume that others are likely to notice it if they wear something embarrassing or say something stupid, even if that’s not the case. We experience the spotlight effect because when we think about how other people see us, we tend to anchor their viewpoint to our own. Essentially, since we are so used to seeing things from our perspective, we struggle to accurately judge how other people see us. Accordingly, one way to reduce the impact of the spotlight effect is to create psychological self-distance when you think about how other people view you. This entails trying to look at yourself from a perspective that is different from your own, such as from the perspective of the person that you are talking to. Furthermore, creating psychological distance can also help you fight against other types of biases. For example, consider the authority bias, which is the tendency to obey the orders of an authority figure, even when you believe that there is something wrong with those orders. This bias caused people to inflict pain on helpless subjects, despite the fact that they knew that what they were doing was wrong, simply because they were ordered to do it by someone that they viewed as an authority figure. One way in which people managed to cope with the authority bias was by increasing the physical and psychological distance between themselves and the authority figure in the experiment. As such, when the authority figure gave them instructions via telephone, and wasn’t in the same room as the person receiving the instructions, people were more likely to disobey the order to harm someone else. Overall, this demonstrates how increasing psychological distance can help you overcome certain cognitive biases, both when these biases are caused by being too close to your own point of view, as well as when they are caused by being too close to someone else’s influence. Debiasing is one of the most important skills that you can learn if you want to be able to think clearly and make rational decisions. This guide showed you some of the most common debiasing strategies, that will help you cope with the majority of cognitive biases. However, it’s important to keep in mind that different debiasing strategies will vary in their effectiveness, and will have a different impact in different scenarios. Accordingly, always be wary when applying these strategies, and remember that it’s unlikely that you will be able to debias yourself or others completely. Cognitive biases are systematic patterns of deviation from rationality, that occur due to the way that our cognitive system works. These biases affect us in a wide range of areas, including how we view other people, how we process information, and how we make decisions. To reduce the impact that cognitive biases have on yourself and on other people, you can use various debiasing strategies. There are some general debiasing strategies, which are effective when dealing with the majority of biases. These strategies include, for example, developing awareness of various cognitive biases, slowing down the reasoning process, and creating favorable conditions for decision making. There are also some specific debiasing techniques, that are effective when dealing with specific groups of biases. These techniques include, for example, reducing your reliance on subjective memory, considering alternative outcomes to past events, and creating psychological distance from your own viewpoint. The effectiveness of different debiasing strategies varies significantly between different scenarios. However, research shows that in some cases, even minor debiasing interventions can be highly effective.